Daly Realism achieves a high level of satisfaction from its clients by thoroughly understanding their needs and delivering high-quality results that meet those needs. This is a short list of our satisfied clients. 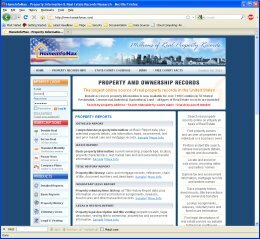 HiMax, LLC needed a complex web site to support their on-line sales of property information. The site includes credit card processing, site-to-site interactions, and cloud-based web applications. 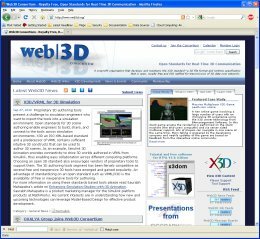 The Web3D Consortium is a non-profit organization that promotes the development and use of 3D graphical standards. Daly Realism is manages the web site and coordinates updates to the web site from a variety of consortium members. 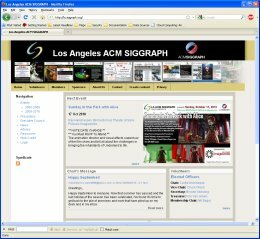 The Los Angeles Profession Chapter of ACM SIGGRAPH has maintained a web presence for over 10 years. The chapter produces 10 events per year and needs a web site that allows access to the past events while serving as a focus for current activities. 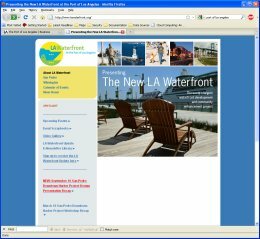 This site was custom designed and built in Drupal. The Port of Los Angeles needed to get the word out for an Environmental Impact Review meeting. Daly Realism assisted with the email and web campaign that lead to a successful meeting. 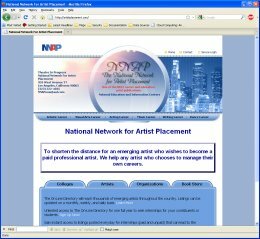 The National Network for Artist Placement's web site is designed to provide a means for arts organizations to post their internships for college students. The web site accepts credit cards for online access to the internship listings and the purchase of books and other printed material. 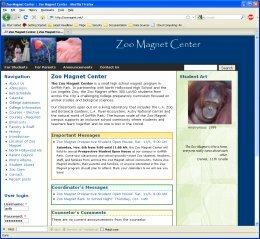 The Los Angeles Zoo Magnet Center of the LAUSD is a small magnet center for approximately 300 students in grades 9-12. It is a college prepatory school whose students go onto UC, CSU, and private colleges. They needed a web site that various non-technical people can update. This site was built in Drupal.